Tube Speaker ONE “Cyclop” – a more or less moderate redisign of the Tube Speaker TWO | Photography etc. After collecting some experience with loudspeaker chassis I owned and used for two decades I longed for upgrading the chassis. I always dreamed about a single speaker approach – the ideal point source. 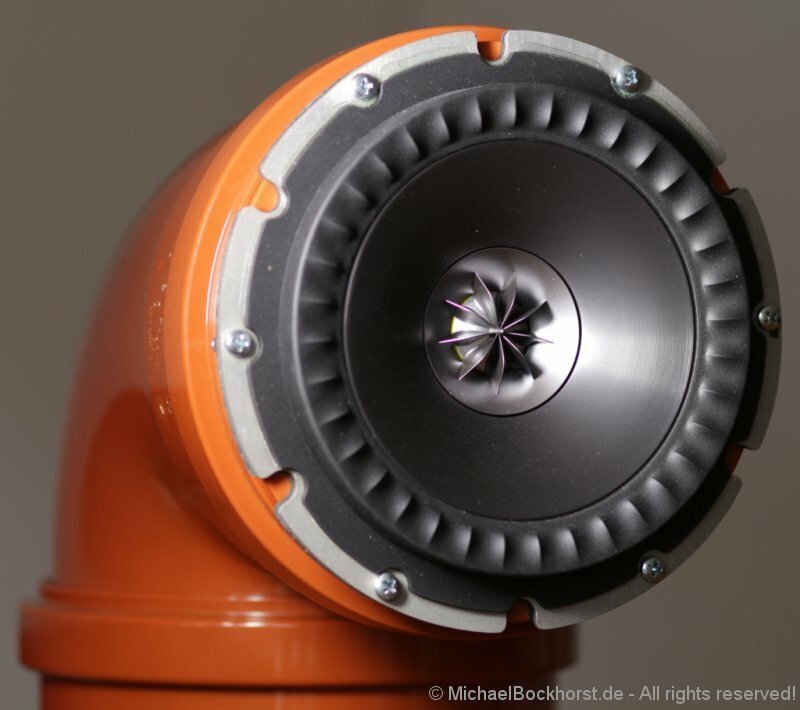 This is a common design for some car speakers but KEF tried to integrate the dome speaker not only mechanically but also acoustically. With success. The KEF SP1588 chassis has the integrated dome speaker where it matters: In the same acoustical plane like the low-mid-range speaker membrane. 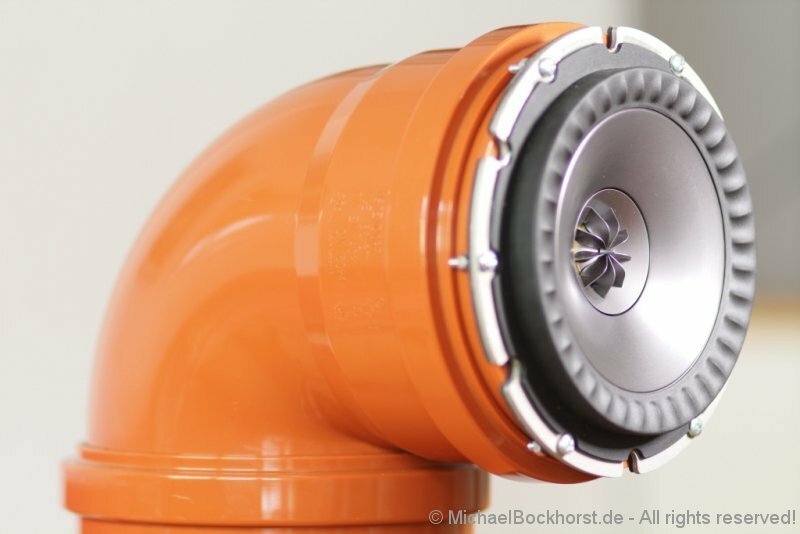 But I don’t want to stop her with the laudatio about the KEF chassis: The tangerine wave guide is a small addition which – as I understand – helps to adapt the near membrane pressure levels to the wider field in front of the loud speaker, maybe like an exponential horn. But a horn would destroy the acoustics of the mid ranges so the small tangerine wave guide was the only solution. Stop here? – No! 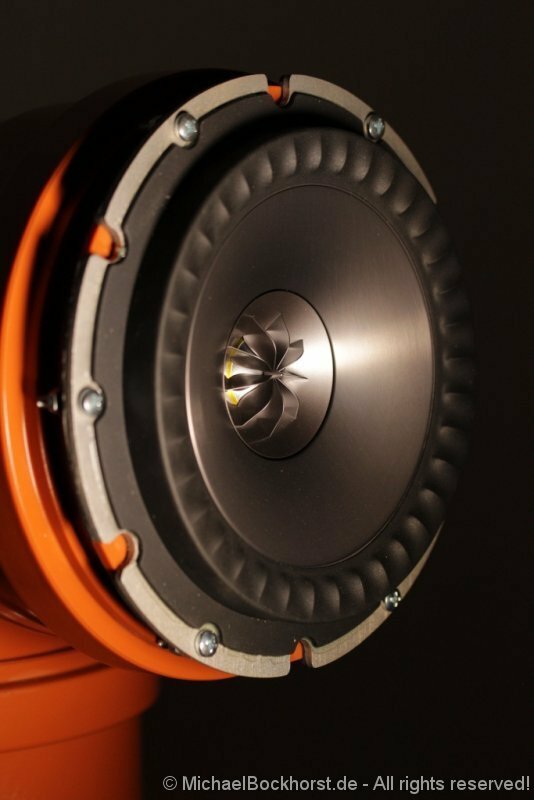 The dome tweeter has it’s own housing which is located inside the coil of the low-mid driver. 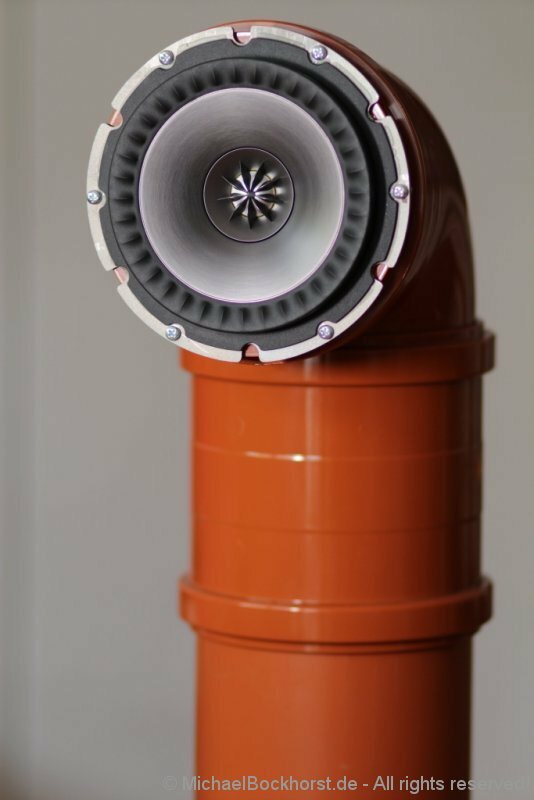 While KEF has developed this concentric speaker designs over decades the newer development of small magnets with high magnetic flux density has supported “miniaturization without compromises” and the people at KEF were able to create a moderately priced chassis with extraordinary sound. As physicist and “private designer” I enjoy listening to a system which is partly designed by me – the larger part: Kudos to the engineers of KEF for creating these wonderful chassis which satisfy physicists “needs” for the “right” systems AND satisfy my need for listening to music (not loudspeakers). For those who do not like to build their own speakers: Try the KEF Q300 loudspeakers which use the same chassis – I have never heard these loudspeakers but reviews give them a very high reputation and they use the SP1588 chassis. Subwoofer (40Hz and below, 24dB Linkwitz-Riley-Filter active) with TrendsAudio TA10.1 Amp and Visaton GF200 in dipole housing (Thanks, Mr. Linkwitz!). Most important addition to the components listet above: Ultrastable power supplies with linear regulators and vast amounts of capacity(~ 40000 µF) delivered by fast condensators. Tests with an oscilloscope showed that these are much better than a 17Ah lead acid battery! VISATON – macht den Ton … | Photography etc. on Externe DACs – Audiophile Spinnerei oder sinnvolles Werkzeug?